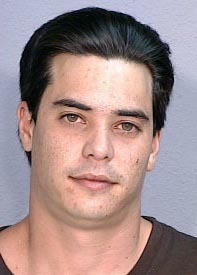 Big Island police are requesting the public’s help in locating a 32-year-old Puna man wanted for questioning in connection with a recently reported sexual assault and marijuana growing operation investigation. Detectives are seeking Oran C. Kita, last known to have lived in the Hawaiian Paradise Park subdivision. He is described as being of Japanese-Caucasian descent 5-foot-10, 165 pounds with black hair, brown eyes, a slim build and a fair to lightly-tanned complexion. Detectives with the Juvenile Aid Section and Vice Section are continuing this investigation. Police ask that anyone with information on Kita’s location call the Police Department’s non-emergency line at 935-3311.